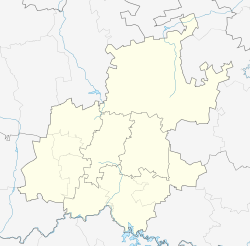 Paulshof is a suburb of Johannesburg, South Africa. It is located in Region 2[needs update] and Region 3[needs update]. 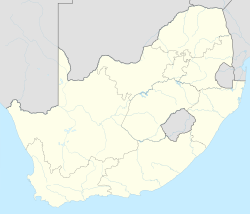 The village of Paulshof is bounded by the Western Bypass on the South, Leeuwkop Estate on the North, Sunninghill on the East and Lone Hill on the West. Paulshof is known as the "Garden Village of the North" by locals due to its proximity to green spaces such as the Rietfontein Nature Reserve. Places of interest in the suburb include the Free Me wildlife rehabilitation centre, the German Country Club and the Rivonia Recreation & Sports Club. ^ a b c d "Sub Place Paulshof". Census 2011. This page was last edited on 25 March 2019, at 18:11 (UTC).